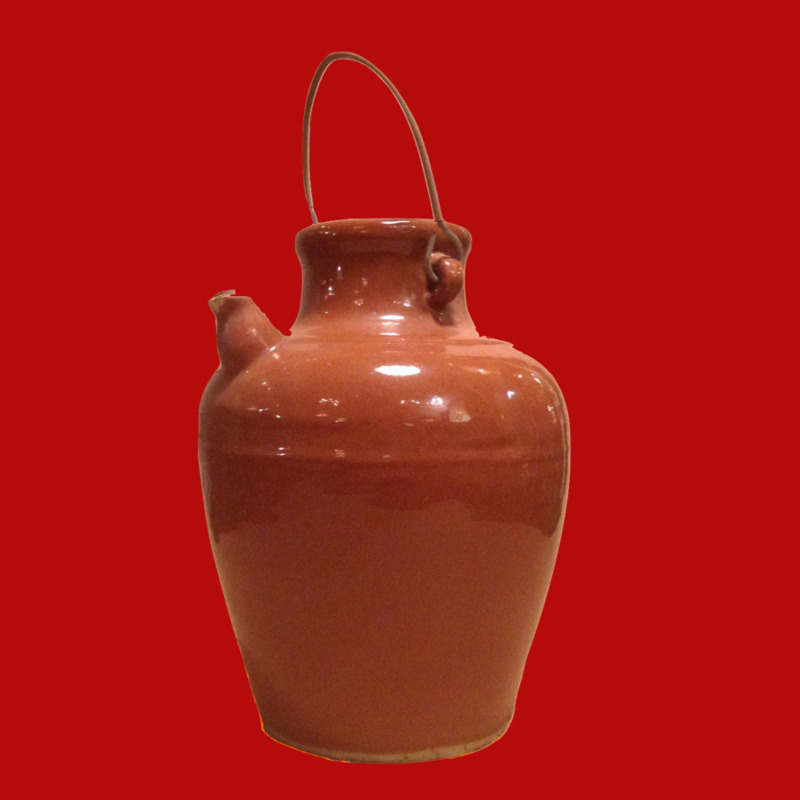 Brick red stoneware jug with small spout, wide mouth, and wire bail. 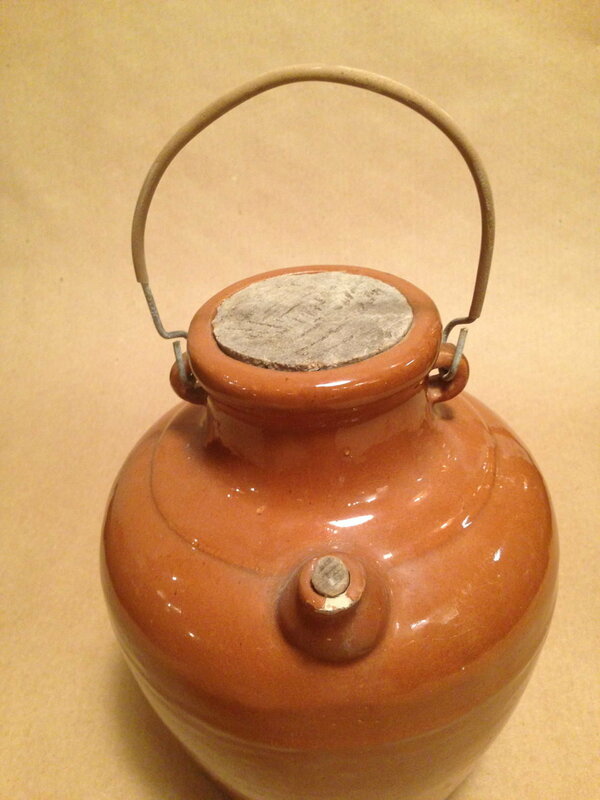 A unique piece of pottery for the garden or your primitive, rustic kitchen. MEASUREMENTS:10.5" tall with handle down, 12" with handle up. 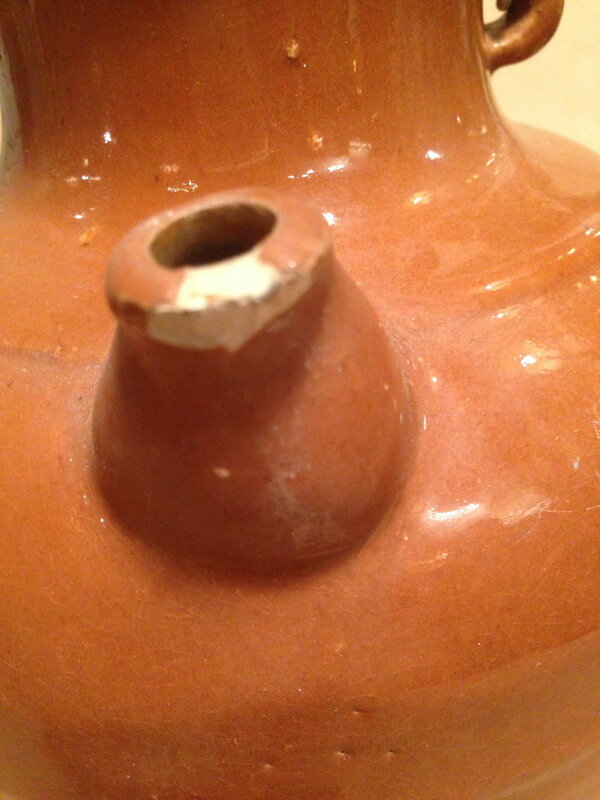 Diameter at the widest point about 7." Mouth approx. 2.5." LOCAL PICK UP:Come on down! THE FINE PRINT:All our items are vintage, therefore imperfect. Please check out the photos, use the zoom, and ask all questions before buying. QUESTIONS? :Use the "Call Us" or "Chat" buttons, or dial 310-320-5452.